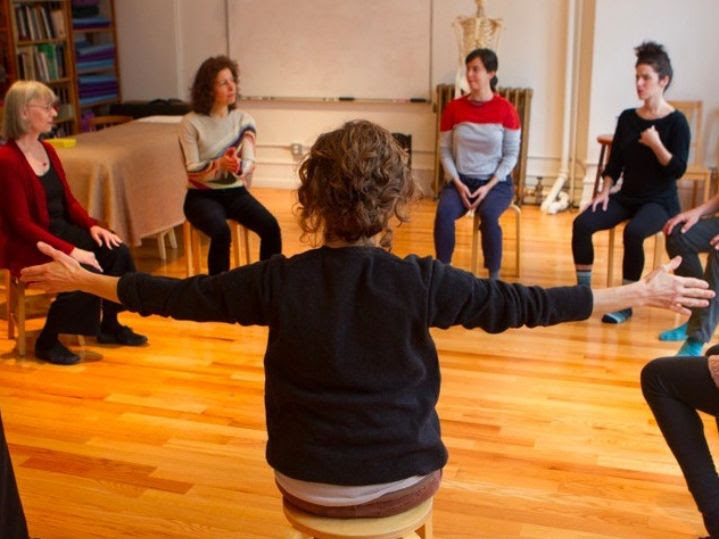 The Balance Arts Center’s Alexander Technique Teacher Training Course offers the highest standard of teacher training in the Alexander Technique. We create an uplifting and inspiring environment where optimal learning takes place and students can better embody the principles of the technique. The Alexander Technique is a method of thinking and learning that improves and refines one’s own sensory awareness and use. It examines students’ overall and specific posture, functioning, and coordination, while addressing the fundamental aspects of all of our psychophysical actions. Refined use enhances one’s ability to accomplish any activity. Performing artists such as musicians, singers, and dancers, as well as athletes immediately recognize how their own functioning affects the quality and outcome of their performance. At the same time, students will notice improved productivity at their desks, while walking, and in accomplishing other daily activities. Becoming a teacher of the Alexander Technique allows you to dive deeper into the study of the Alexander Technique principles as they apply to yourself. Teaching also allows you to assist others in improving their use and in finding more skill and ease in whatever activity they choose to do. Students who complete the teacher training course will be proficient in hands-on work, have strong pedagogical skills as well as a good understanding of the theory and history of the technique. The course includes 1600 hours of instruction within a 3-5 year period. The student-teacher ratio averages 5 students to 1 teacher. Graduating students from the BAC Course are eligible for certification through The American Society of the Alexander Technique (AmSAT). The Balance Arts Center’s Teacher Training Course is designed to teach the principles of the Alexander Technique theoretically and practically. Additionally, the knowledge of the Alexander Technique is applied to activities such as dance technique and training, general performance awareness, writing/typing, walking/running, office work, public speaking, playing of musical instruments, fitness activities and daily tasks. The course structure includes group classes, private lessons, supervised teaching, observational outings and readings.